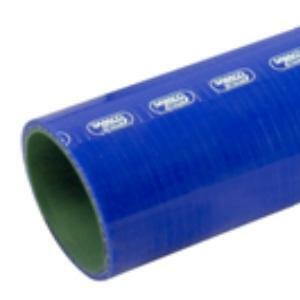 Samco ProFuel is the worlds first performance silicone hose for permanent fuel use. Suitable for the transport of petroleum fuels, ProFuel can also be used for fuel lines, delivery, fillers & breathers. For custom applications Samco Sport offers Straight Hose to enable you to fit the best in high performance silicone hoses to whatever engine you have. Samco Sport Straight Hose is available in 3 connectors or 33 (1 meter) lengths for custom applications. Available on all Samco products, Samco ProFuel is designed to work to temperatures of up -60 +180C and offers a 2 year manufacturers warranty. NOTE: To cut silicone hose use a new snap Off blade in your knife. Tighten a jubilee clip around the hose and use the edge of the clip as a guide for the knife blade then slip off clip and slice through the remainder with the hose resting firmly on a flat service. Autoplicity has the best prices around! They were quick to email a confirmation of the order, shipment, and delivery. I was VERY impressed! I also received my order earlier than I thought, which is always a plus. Will definitely do business with them again! Thanks! Excellent prices. Product was very good quality. I would recommend Autoplicity to others. Quick shipping and good communication, thanks!